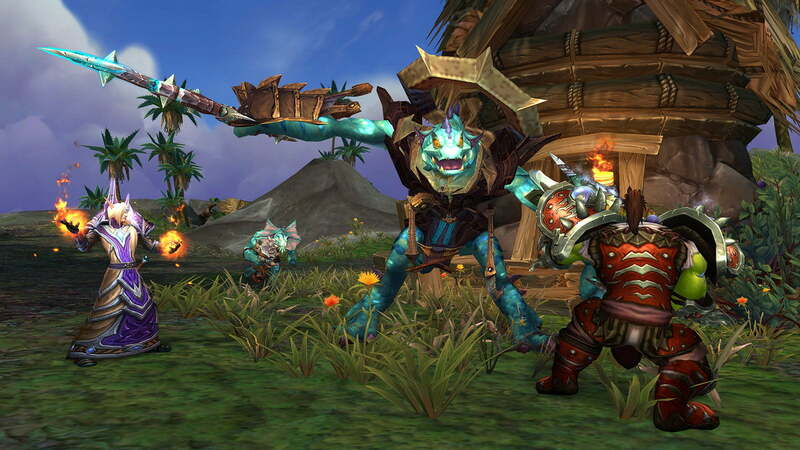 One of the best role-playing games for a long time now is definitely the World of Warcraft. While playing it, the worst thing that can happen apart from distraction is experiencing some problems such as the WOW51900319 Error. The frustrating thing with this error just as you will find out with any other error that occurs when you are gaming is that it can almost destroy your gaming experience. There was a time that it became a very serious problem among gamers which has led Blizzard and other gamers to start looking for solutions. Generally, each time you come across any error code as this, there is usually something that it could signify. As revealed by Blizzard, what this error simply means is that “you have been disconnected from the server.” Essentially, you have lost connection with the servers of World of Warcraft. Instead of seeing that particular error code, one may get to see things such as Disconnected with error BLZ51900075 or even Disconnected from World of Warcraft. These, according to Blizzard, also mean the same thing as the first error. While Blizzard is insisting that the problem is from the gamer’s end, gamers insist it is from the other end. Nonetheless, there are some things that have been linked to the error including playing the game on high FPS and failure of the network to respond. Others have claimed that they experience the problem when they switch programs to do something using the ALT and Tab keys. The good news, however, is that no matter the cause, there are many available fixes for the WOW51900319 error. More than almost all other things, what has been said to cause this problem is taking your FPS too high. This is because it will make it hard for the internet connection you have to move with the servers of Blizzard because of the network latency, hence you will get the error. Either directly click the Game Menu icon of the game or press ESC. Both will take you to the Game Menu. On the left side of the System, select Advanced. Note: Also following the same steps above, you can decrease the Foreground FPS which has also been found to solve the problem. Once you get to the Advanced option, you will see the Foreground FPS. Decrease it a little and save. Since as earlier pointed out, the network latency requirements of Blizzard has been tightened, your network has to be very good. If you are using a modem, there is the possibility of fluctuation in the network which can easily open you up for the error. The solution to this will be to get an ethernet cable because it offers a more stable connection once you have a good ISP. The advantage of using ethernet cable is that while the network latency is less, the speed is higher than what you get with a wireless connection. Another rather funny way that has been found to work for some people is to simply log out of Battle.net before logging in again. This is believed to set everything fine if you are experiencing a technical problem. This may not always work as such you may need the other methods stated here as well. While all the above are methods that have been found to work, Batte.net has also provided a method of fixing the WOW51900319 error and other such errors. Before anything, the suggestion is to check the Blizzards Twitter handle to find out if there is any problem reported. The next suggestion is to check the technical forums and see if there are some useful information. Rest your user interface using the steps below and ensure that you do not have addon files that have been corrupted. Check your network devices and reset them to ensure they are not under any load. Next, have all your drivers updated since that can cause issues with compatibility. Renew your IP and then flush DNS so that you do not get any network conflict. If other programs are also running, close them. Set your graphics card and network drivers to be up to date and according to the needs of the game. If your VPN is on, turn it off. Because malware and viruses can cause a lot of things, run a full scan to ensure they are taken off. Make sure that your router or modem has updated firmware. Uninstall your add-on managers. What this will do is to stop removed add-ons from adding again. Open the Blizard Battle.net application and then select Options > Show in Explorer if you are using Windows operating system or Reveal in Finder if you are using Mac operating system. Open the World of Warcraft® folder and rename the following files Cache to CacheOld, Interface to InterfaceOld, and WTF to WTFOld. Go ahead and launch the Wow application. Uninstall World of Warcraft from your computer and clear all cached files. Go to the official website and download the game and then install it. To retrieve your saved data, log into your Battle.net account and reinstall it. The most important thing to know here is that there are chances that you may lose your some of your data, hence you need to try all available options before settling on this.